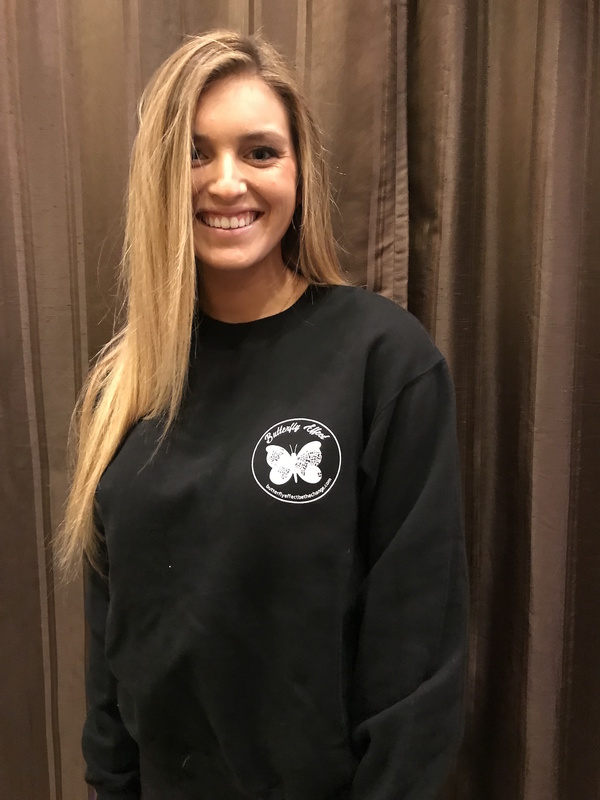 Stay nice and warm in this soft black butterfly effect pullover with our emblem! Comfortable fitted hoodie to wear while you’re out and about changing the world, one act of kindness at a time! 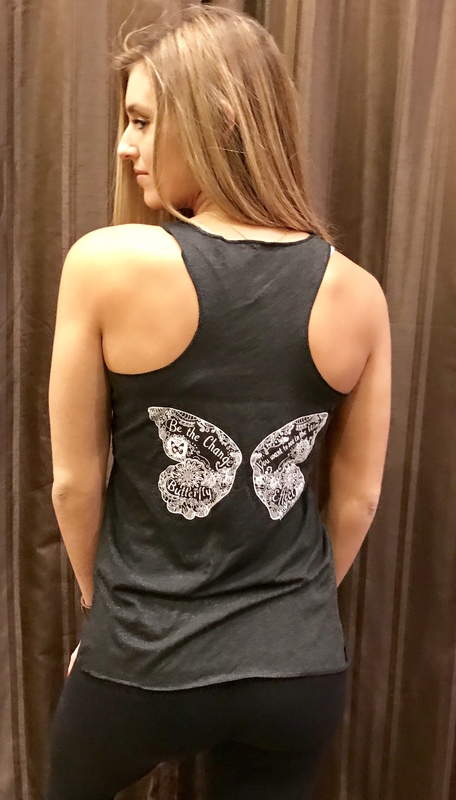 Spread your wings in this adorable black tank with our Butterfly Effect logo! Too cute white scoop sweatshirt with the Butterfly Effect logo! You can change the world with small acts of kindness and love. Show your support for Butterfly Effect and your commitment to be the change you wish to see in the world in this comfortable v-neck t-shirt! Stand out and teach others how small acts of kindness can help to change the world. Adorable Zip-Up Hoodie Sweatshirt is stylish, fun, and makes a statement!